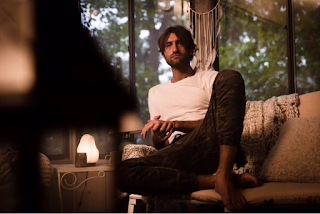 Ryan Hurd's brand new black-and-white video offers an intimate glimpse at life off-the-road with fiancé Maren Morris. Hurd partnered with VEVO and Rolling Stone for the premiere of his new music video. Filmed at Hurd’s family lake house in west Michigan where the GRAMMY & CMA-nominated songwriter spent summers growing up, the video offers an intimate, behind-the-scenes glimpse at life off the road for the two country stars who met and fell in love as songwriters in Nashville, Tennessee. Earlier this year on a trip to the lake house, Hurd popped the question to Morris while on a trip out on the canoe boat featured in the music video.